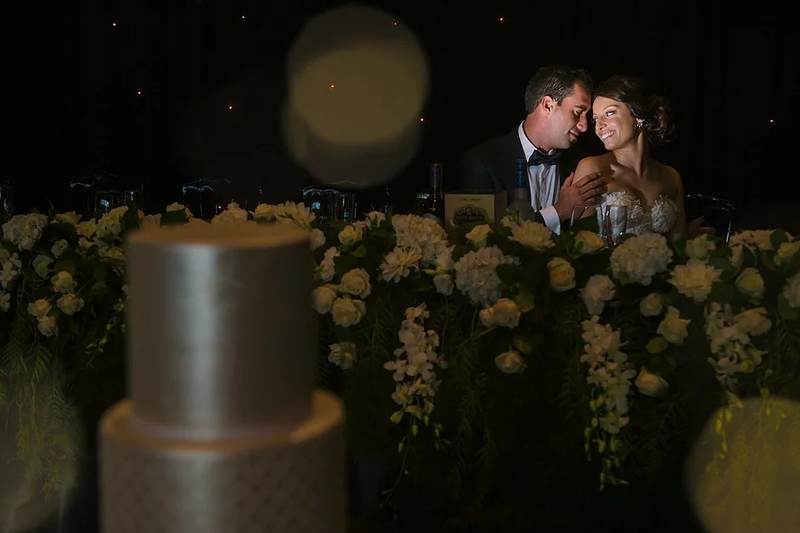 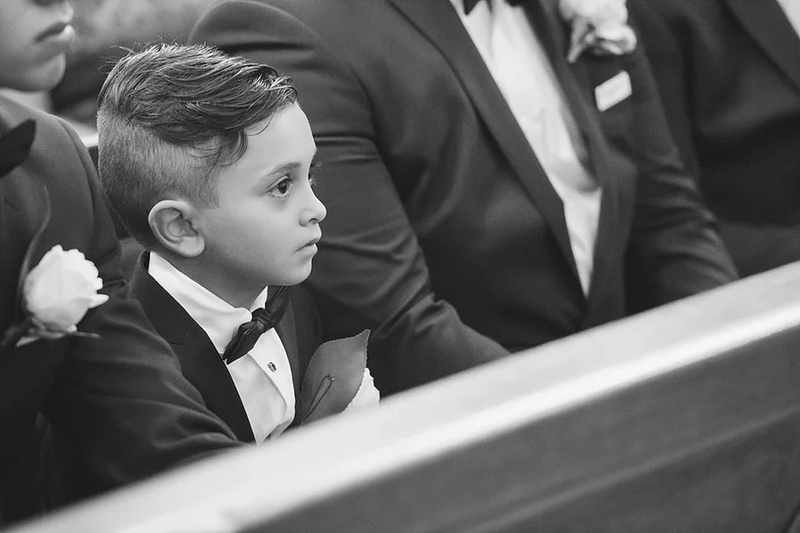 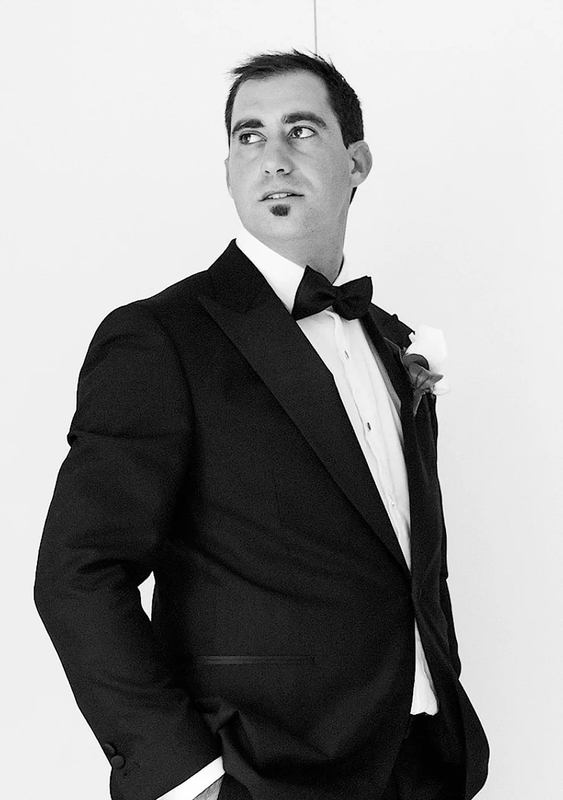 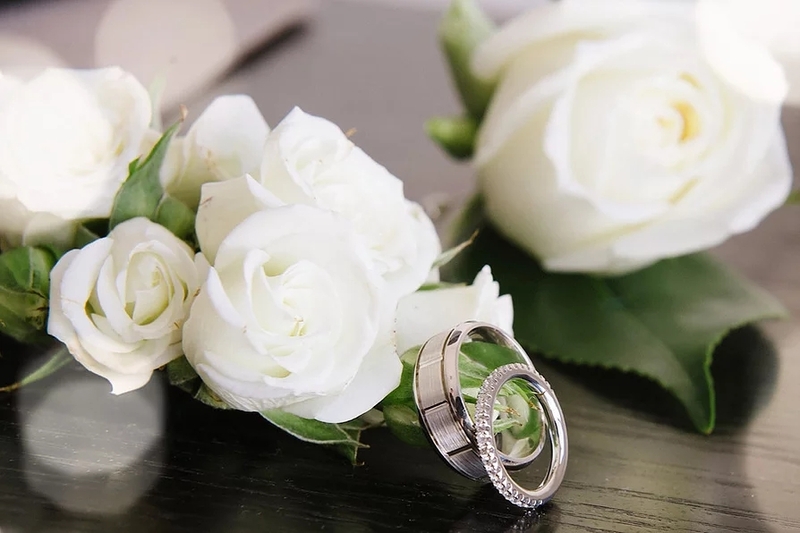 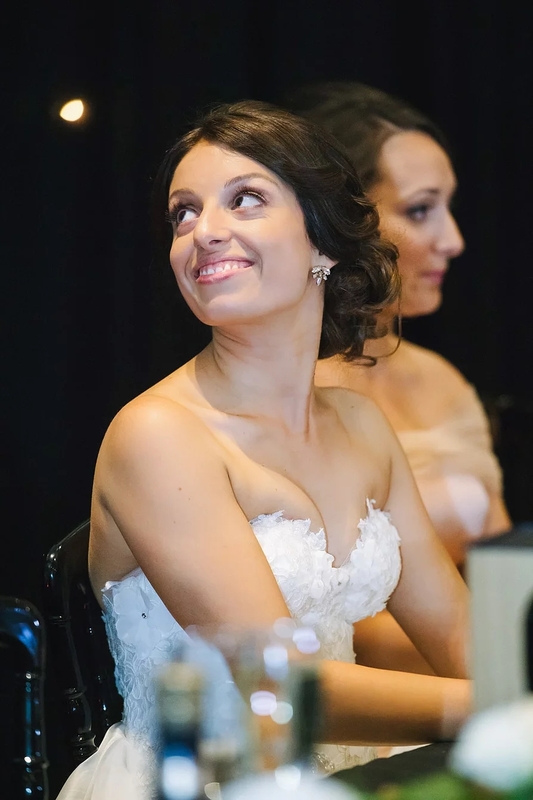 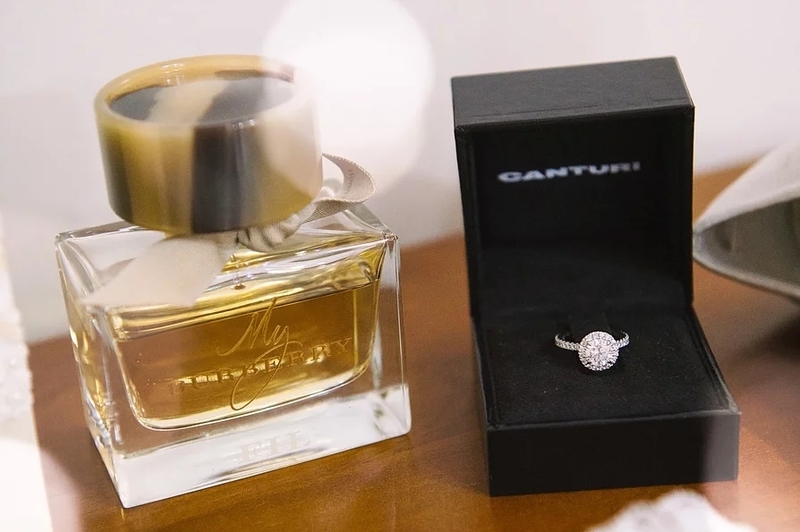 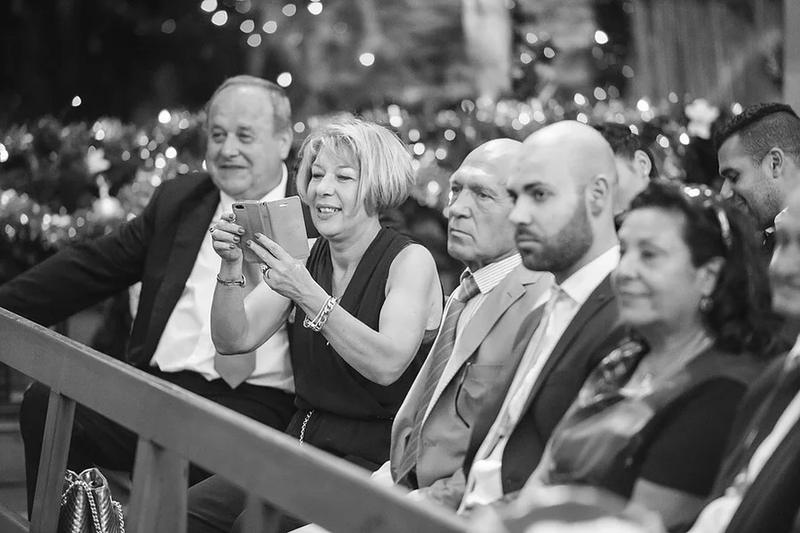 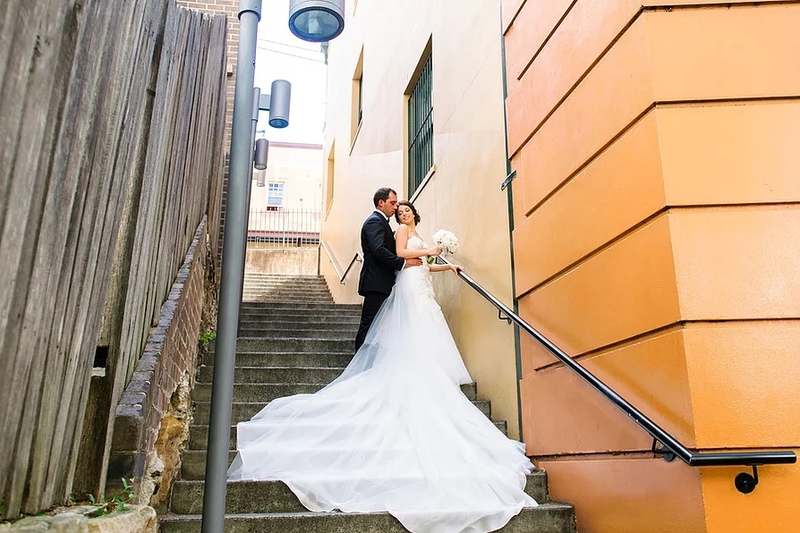 As a busy Sydney wedding photographer, we have been privileged to be involved in hundreds of weddings over the last ten years. 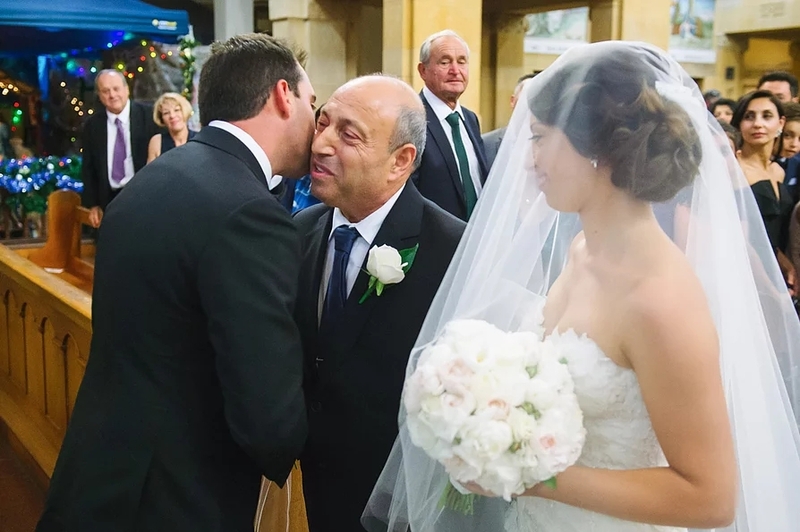 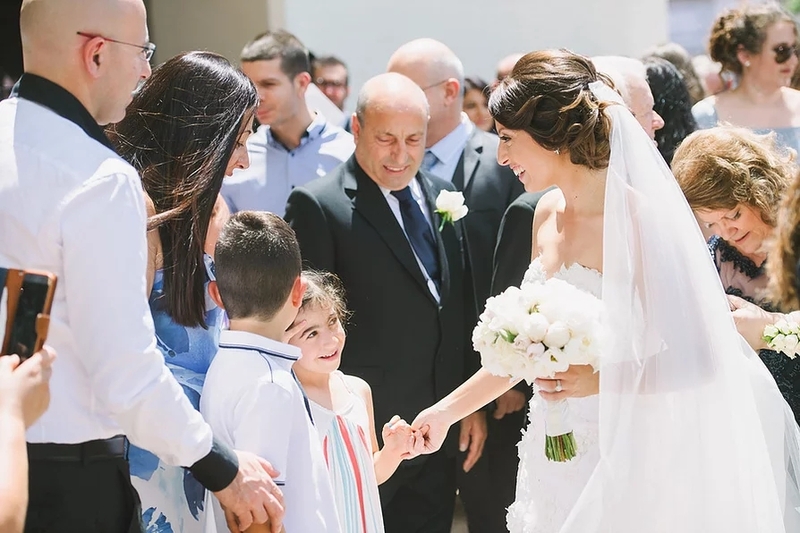 And yet, we still find it incredibly moving when the bride steps out in all her finery for the first time, to the delight and admiration of family, friends and neighbours. 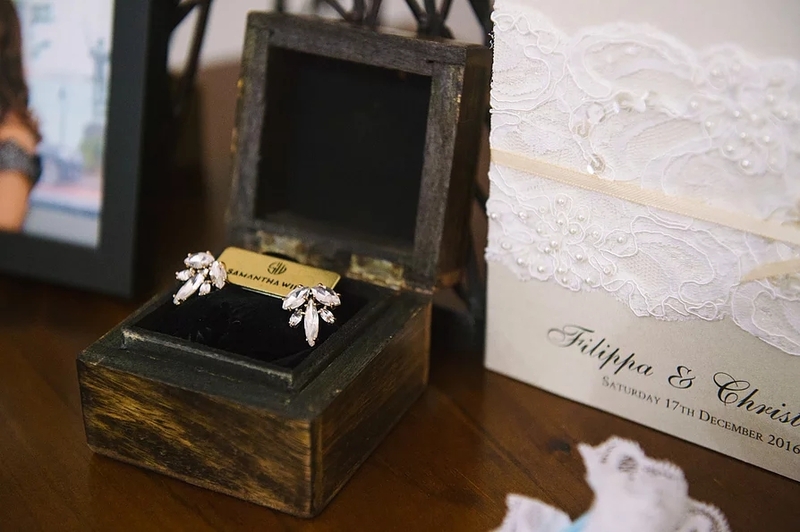 Such was the case on Chris and Filippa’s wedding day. 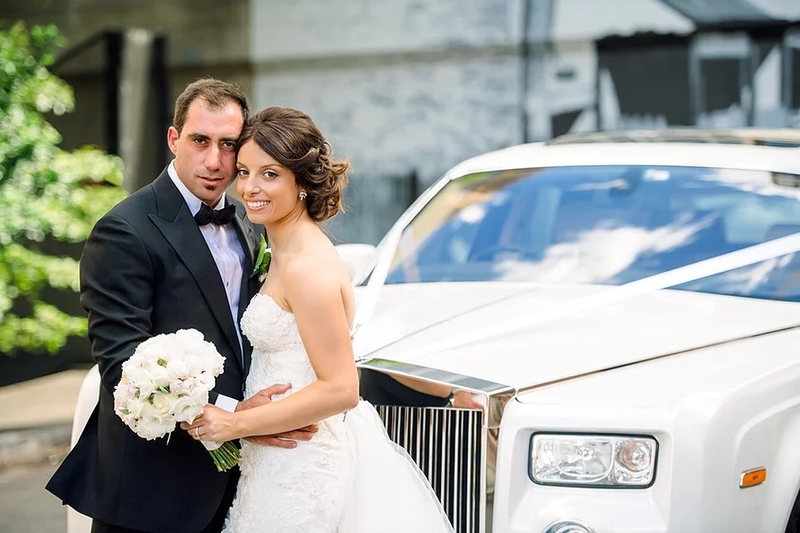 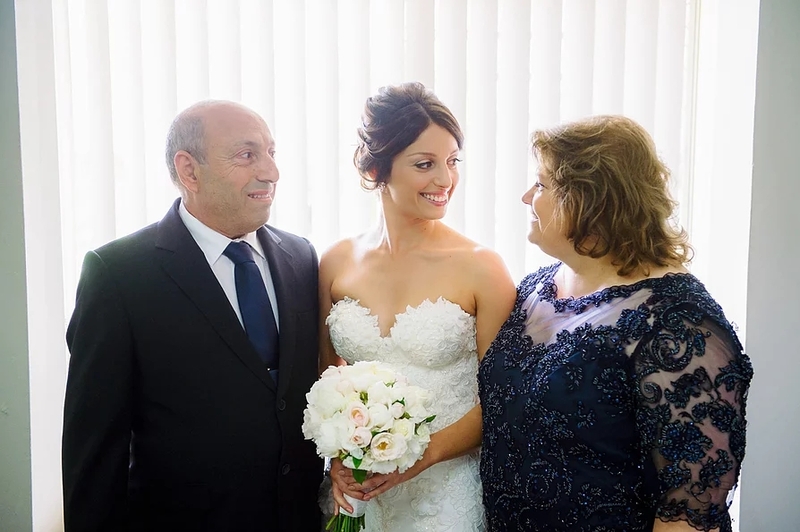 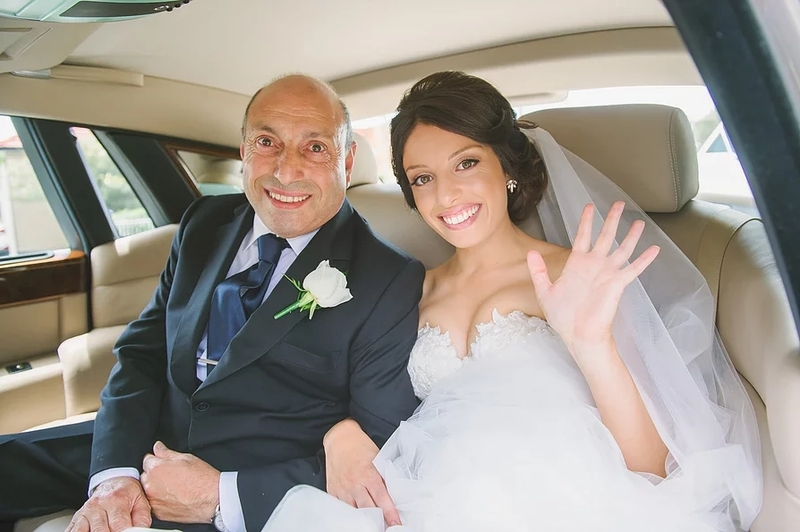 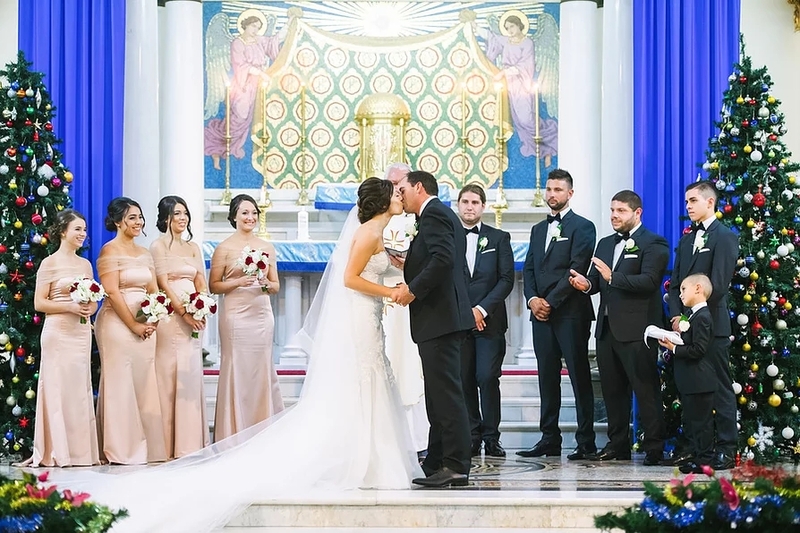 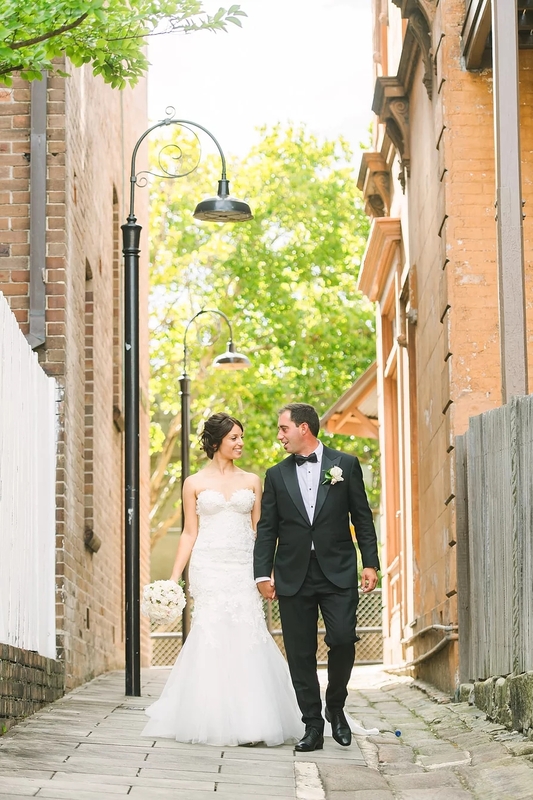 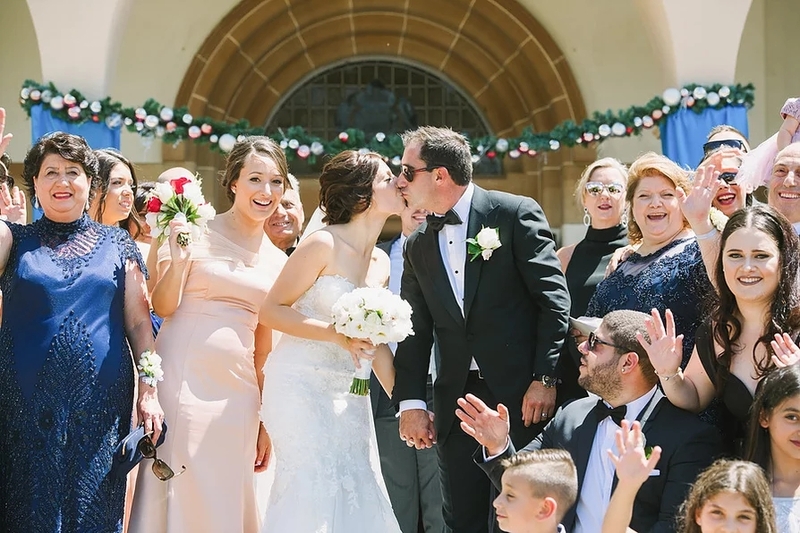 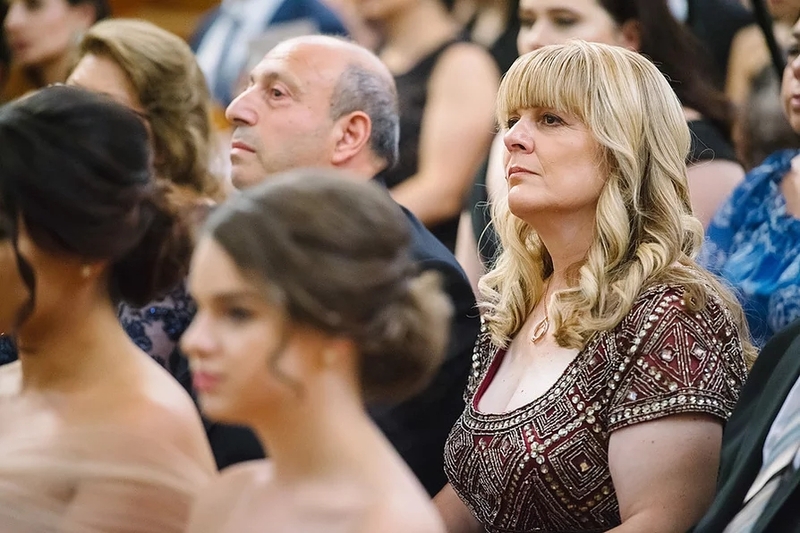 Even the bride’s family home was decorated, with white tulle and large bows adorning the front of the property, so by the time the wedding cars pulled up, there would have been no doubt that this was a very special day for the household! 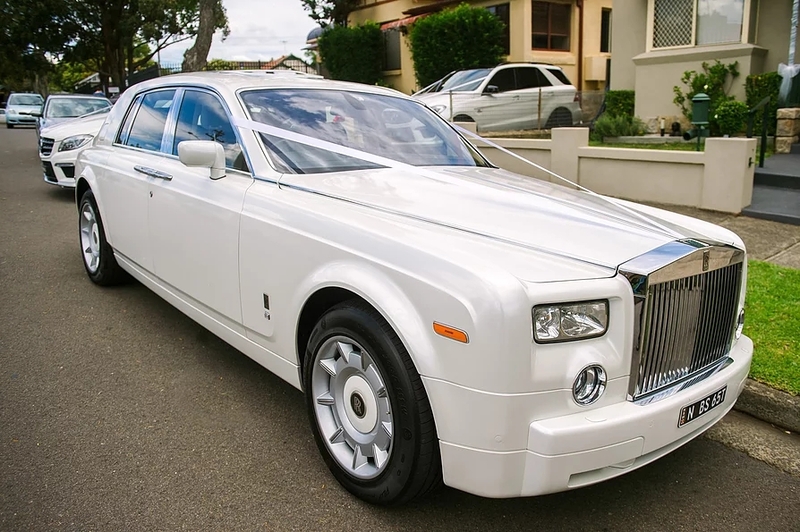 And who says only the bride and her maids get to arrive at the church in style? 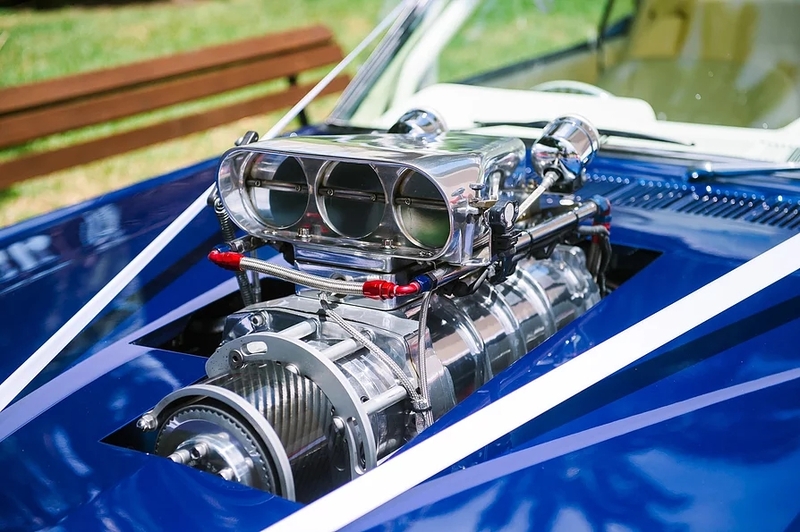 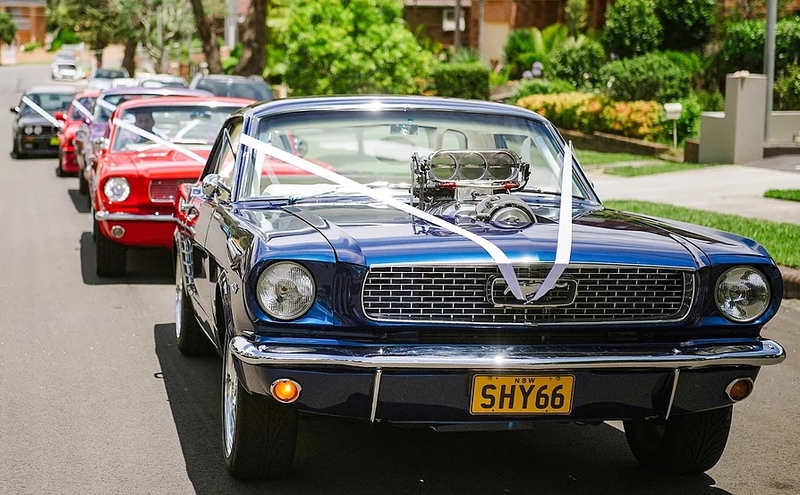 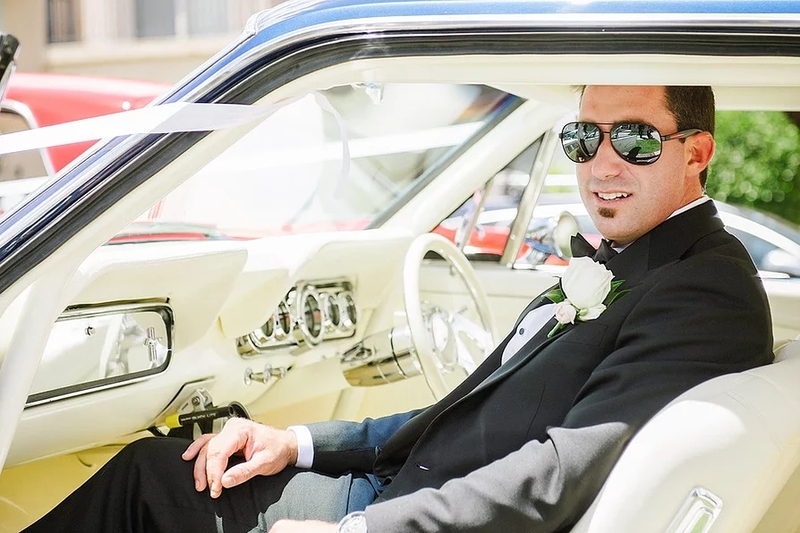 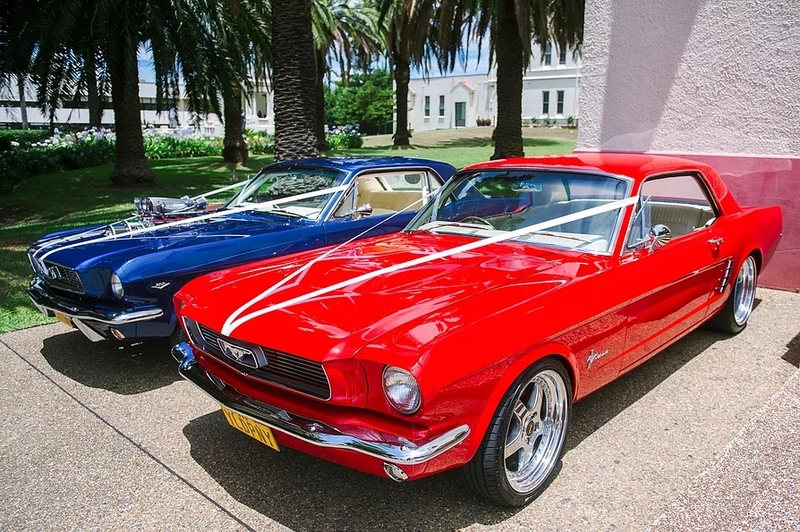 Not at this wedding, with Chris and his attendants arriving in a fleet of muscle cars, including a blue 66 Mustang. 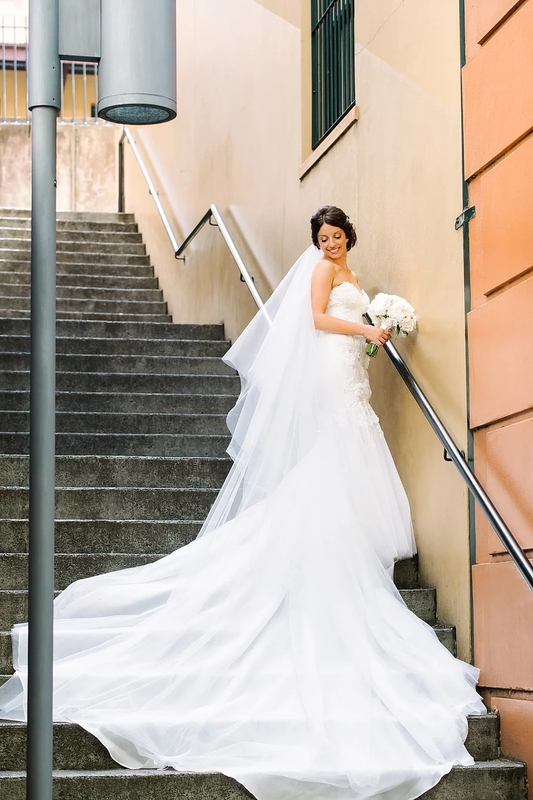 Filippa made a stunning bride in her floor length mermaid style gown, which featured a 3D lace overlay. 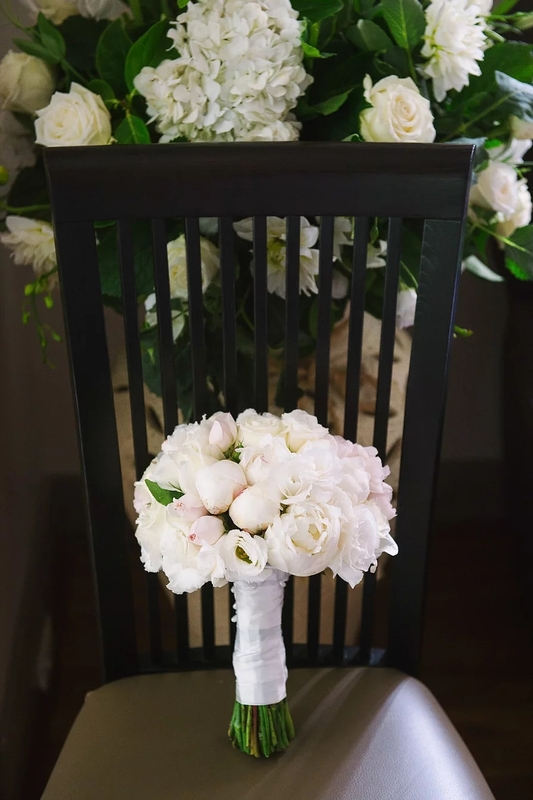 If you look closely at the photographs, you will be able to see the individual petals on the flowers which make up the design. 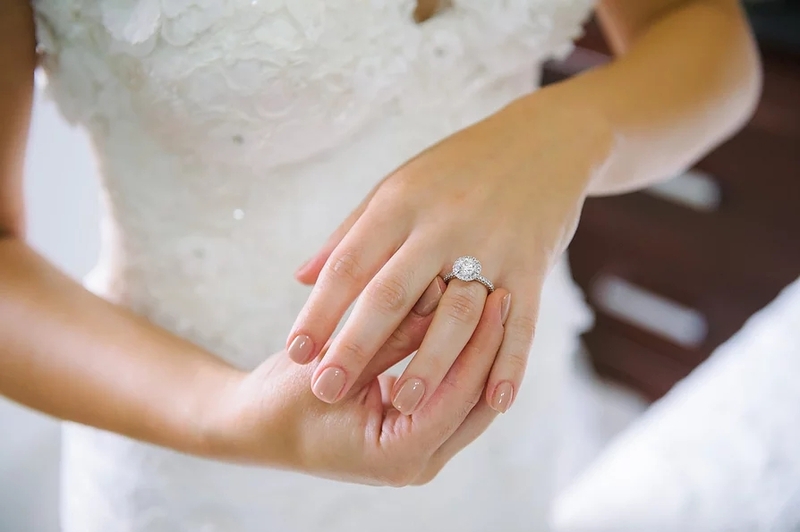 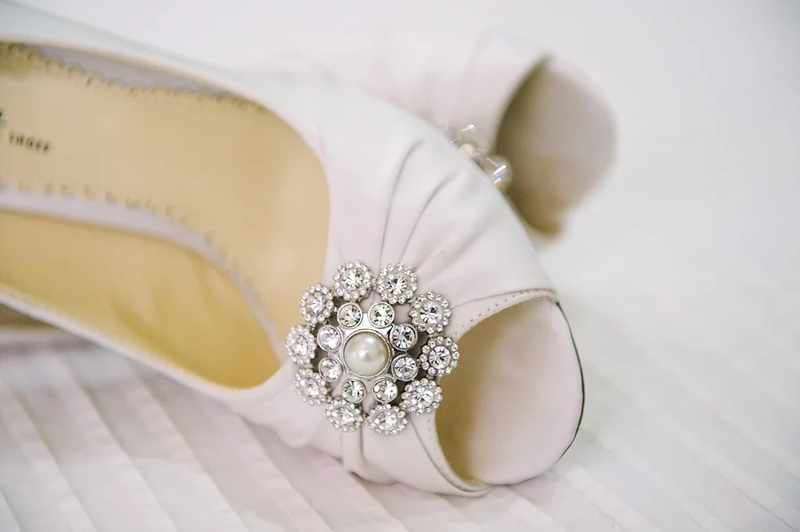 Although lace is a popular choice for bridal couture, all laces are not the same. 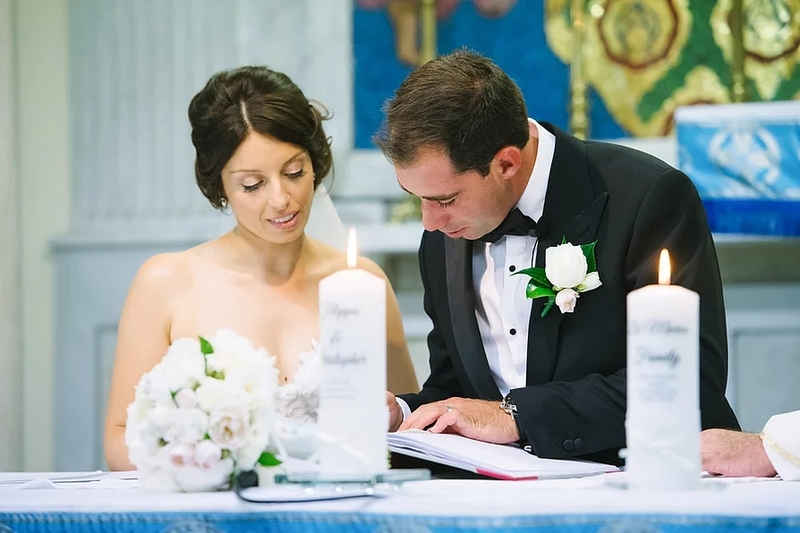 With lace work dating back about five hundred years, many styles are named after their area of origin – for example Alençon and Chantilly laces from France, Brussels lace from Belgium, and Venetian lace (also known as guipure lace) from Italy. 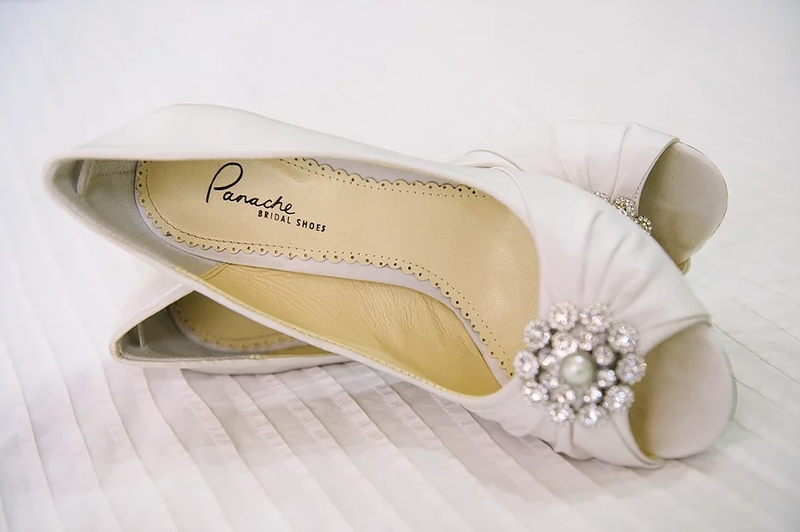 More modern laces include broderie anglaise and laser cut. 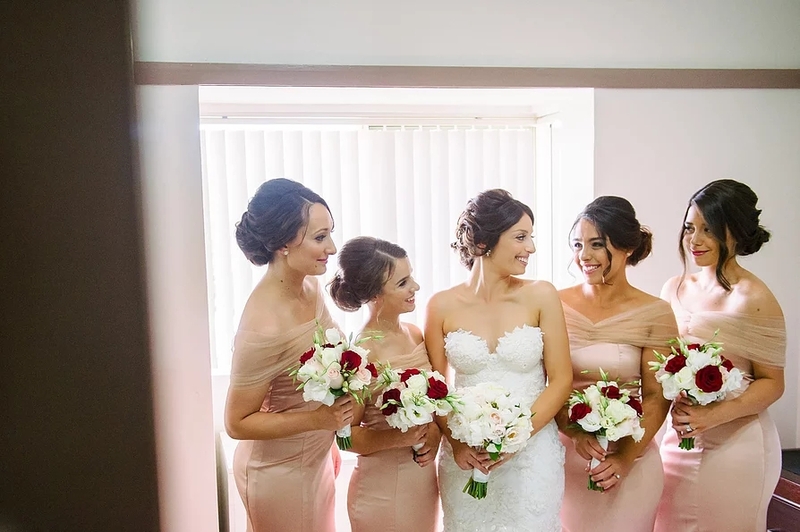 Filippa carried a bouquet of white peonies with just a hint of colour to echo the apricot of her bridesmaids’ outfits, and wore her hair in a loose chignon. 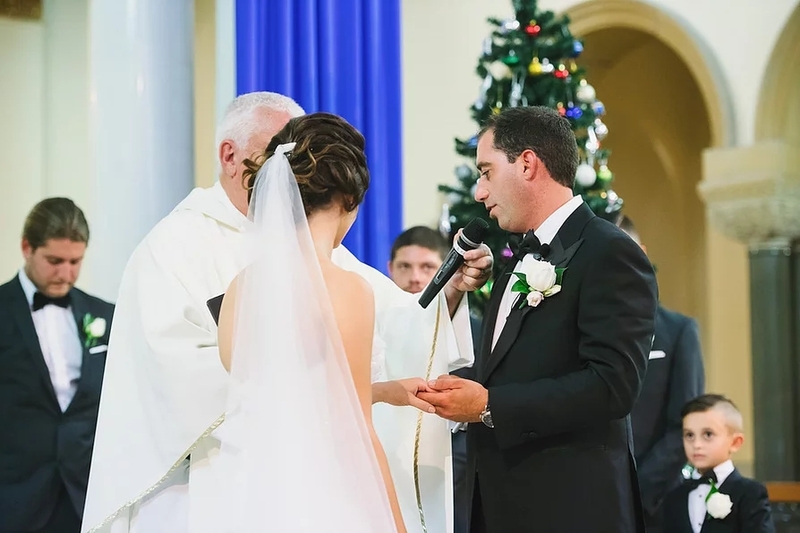 For the ceremony, a full length veil which was tucked into her chignon with a backpiece – like many a summer bride, Filippa removed the veil for the reception. 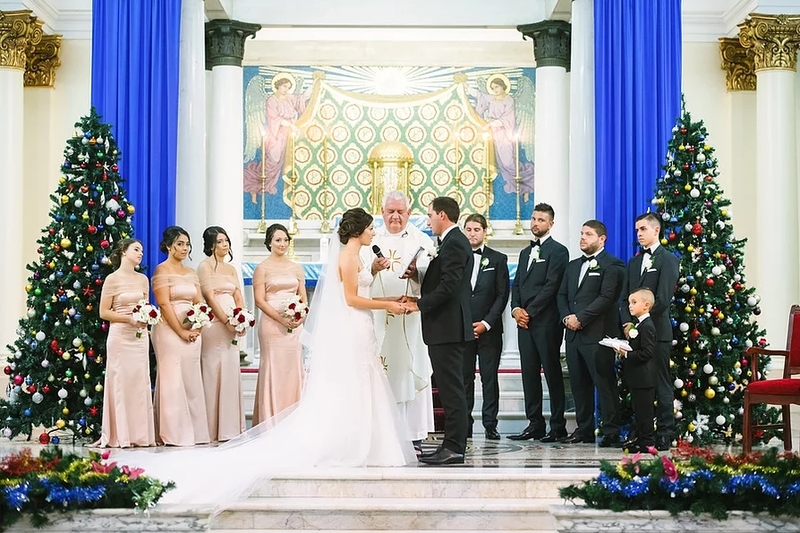 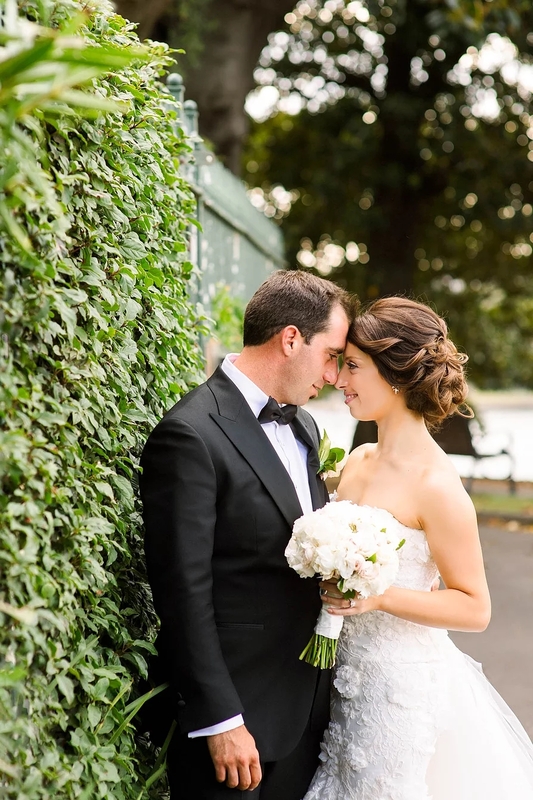 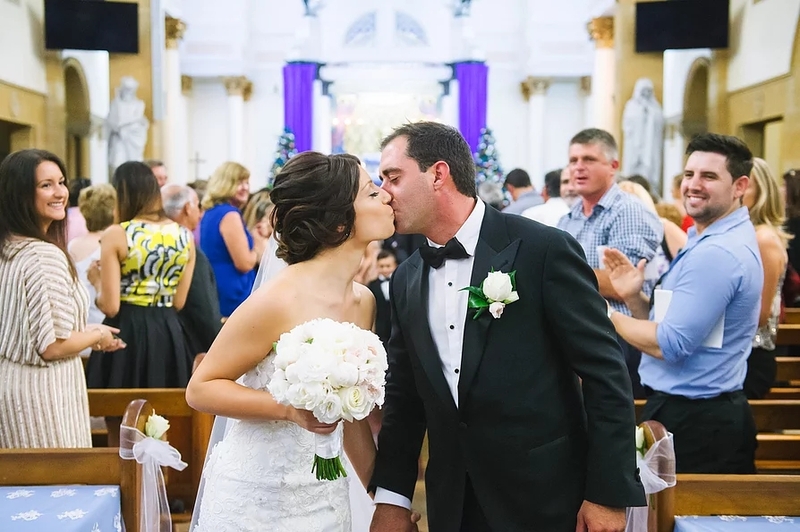 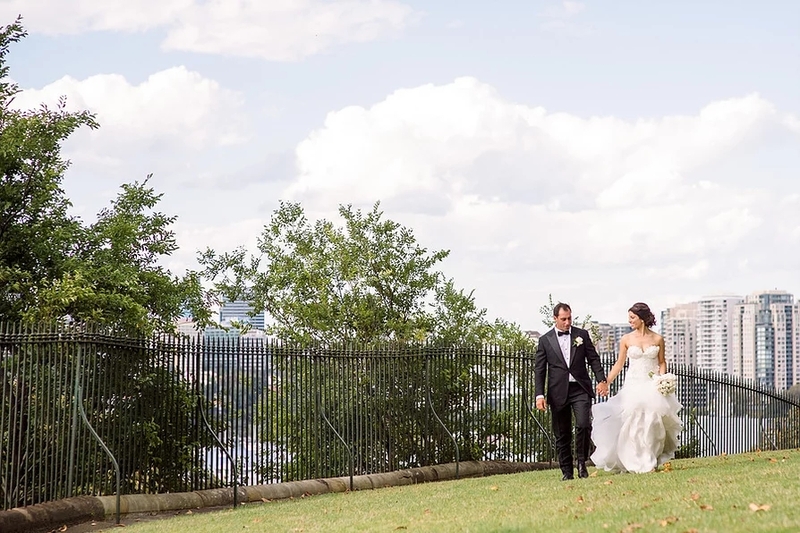 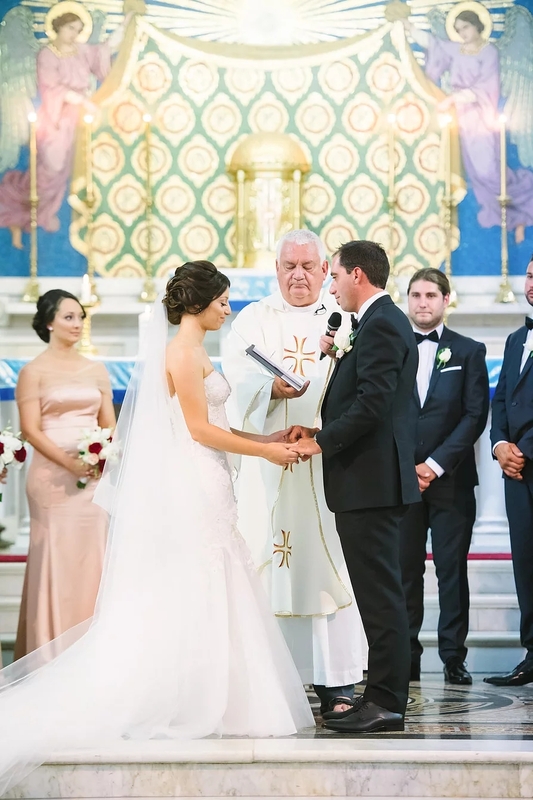 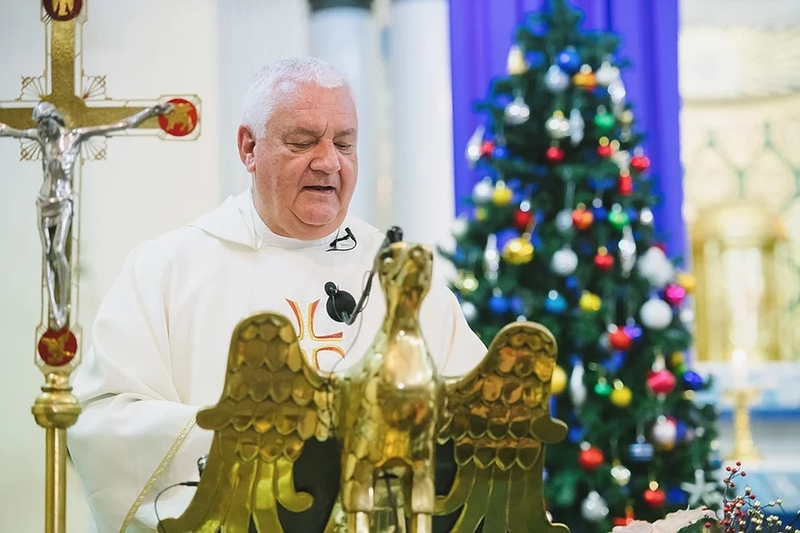 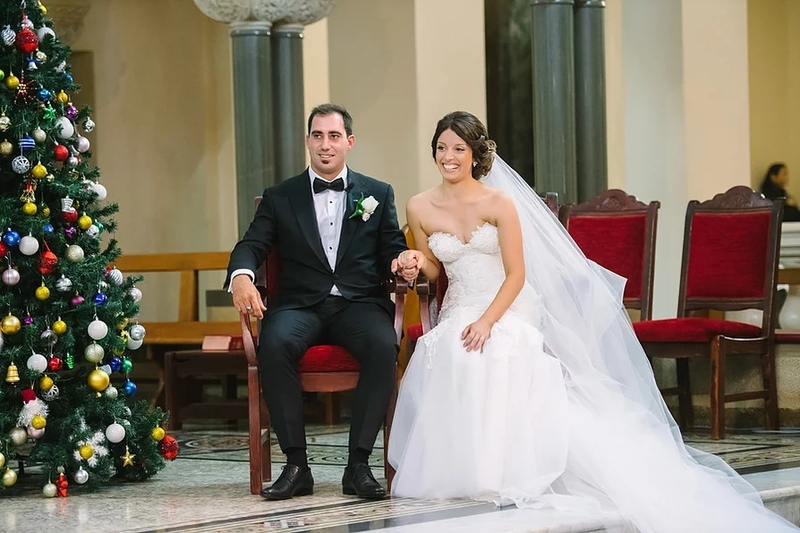 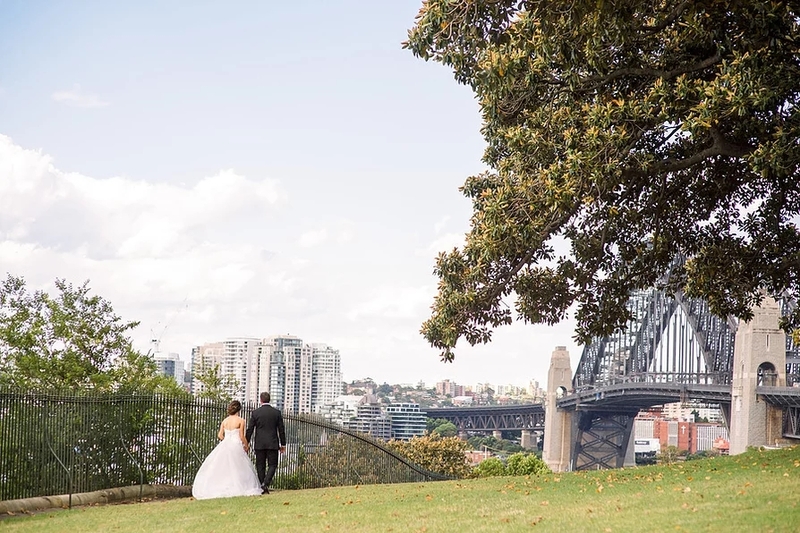 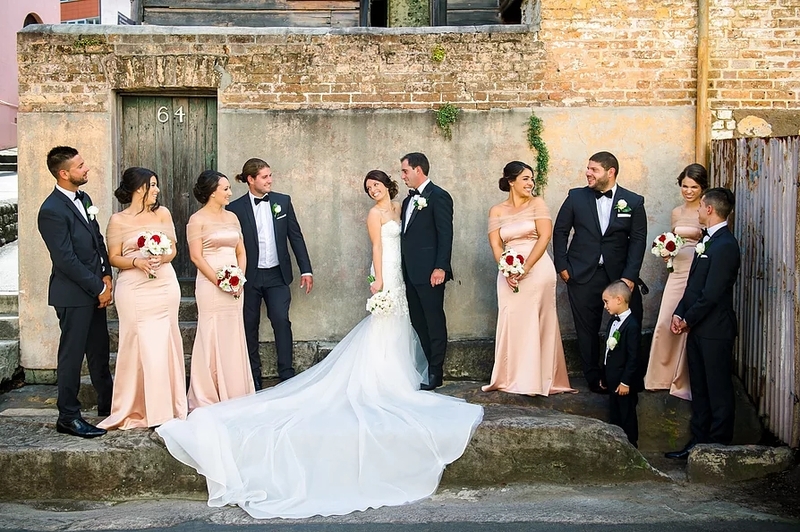 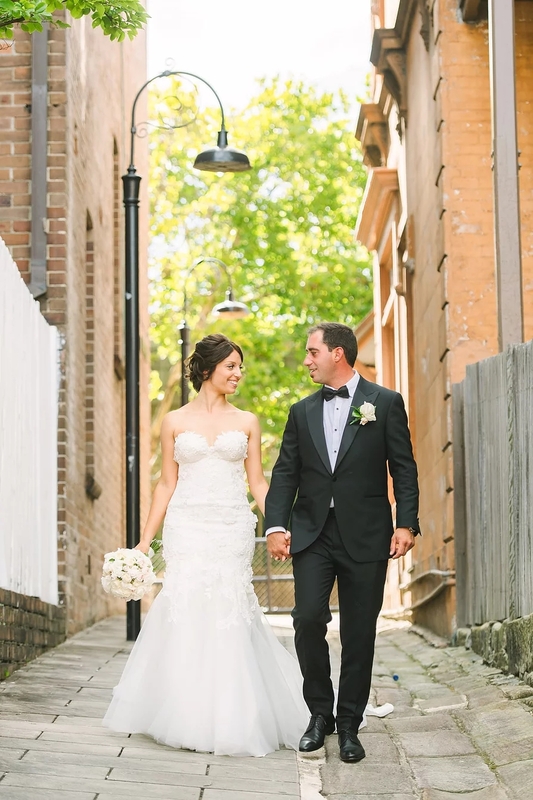 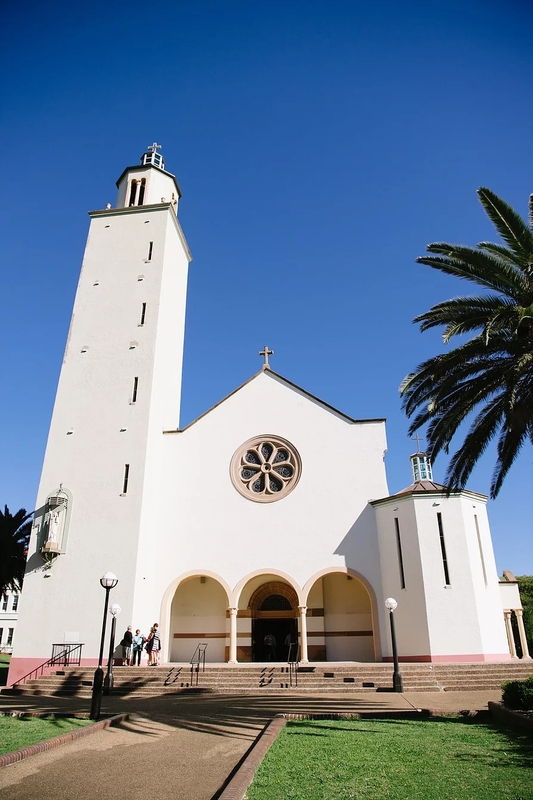 Chris and Filippa were married at St Brigid’s Catholic Church in the inner Sydney suburb of Marrickville, with photographs afterwards in the soft afternoon light at The Rocks and the Sydney Observatory. 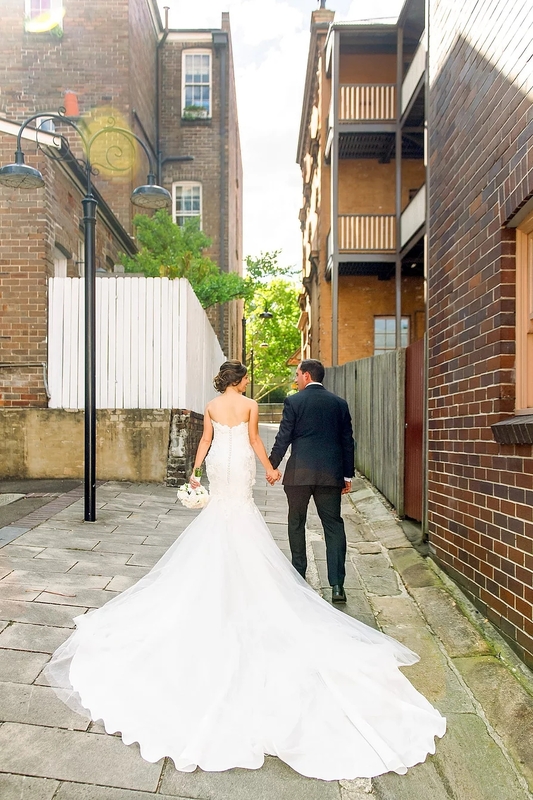 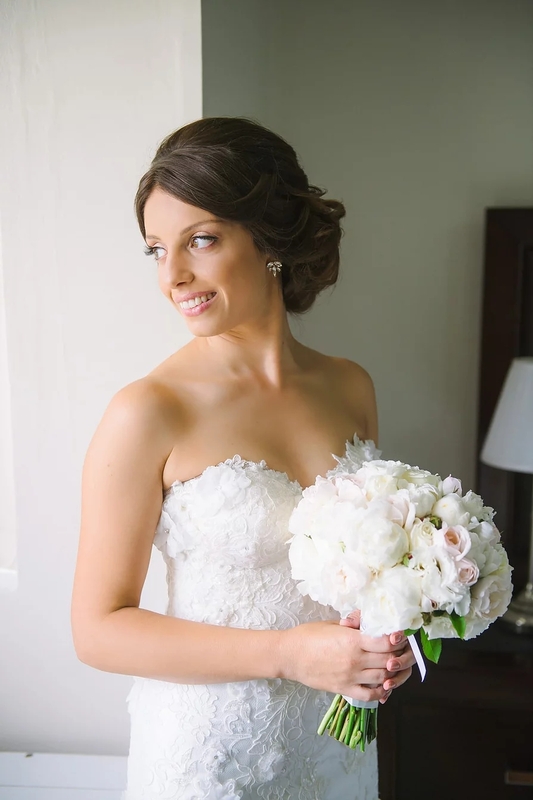 Our talented photography team captured some gorgeous bridal portraits full of natural free flowing movement. 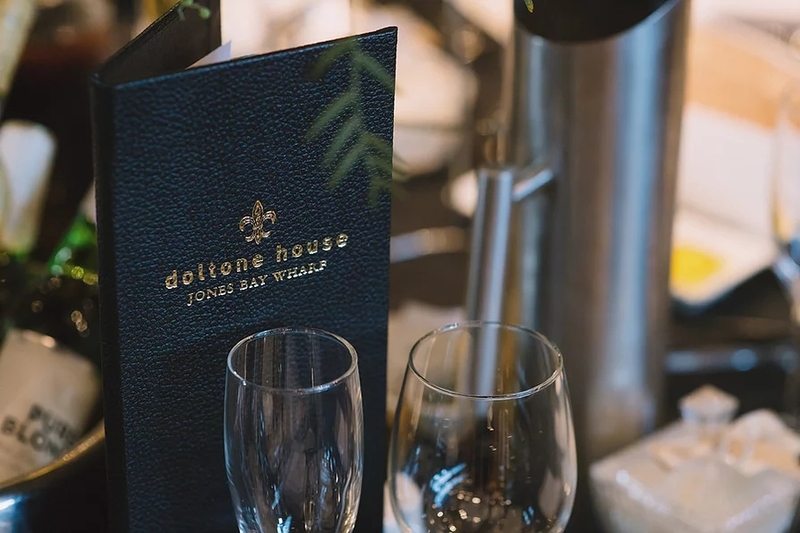 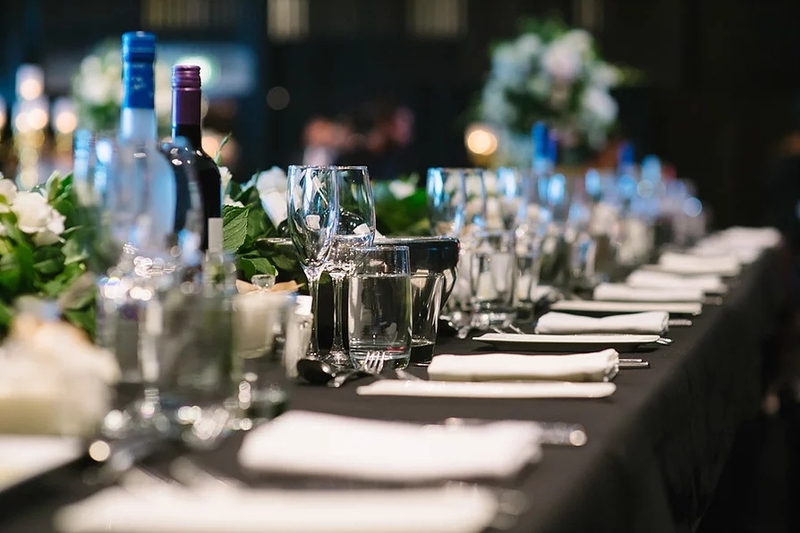 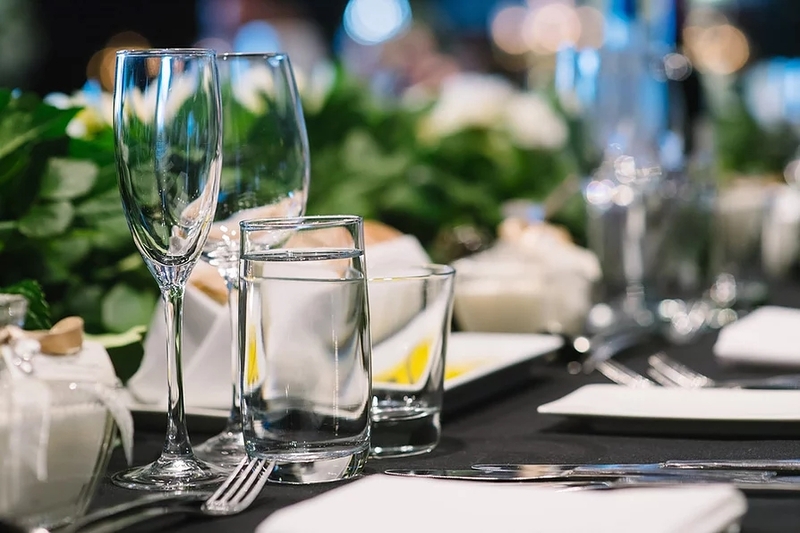 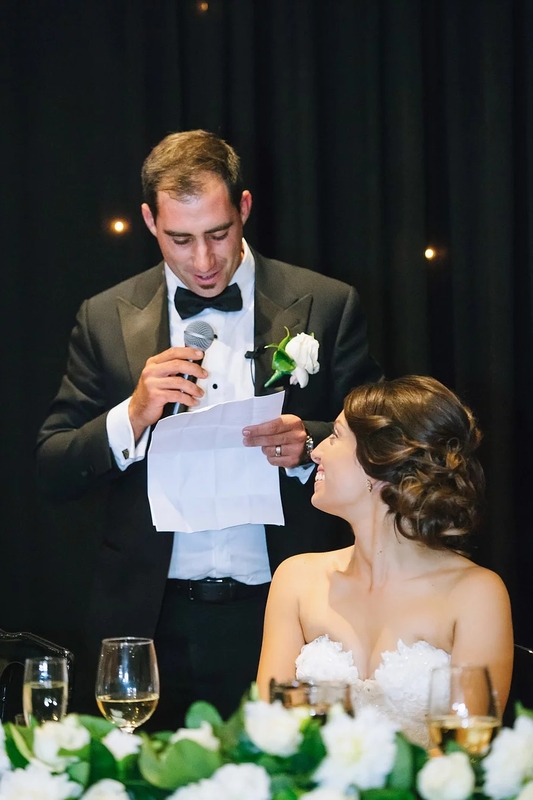 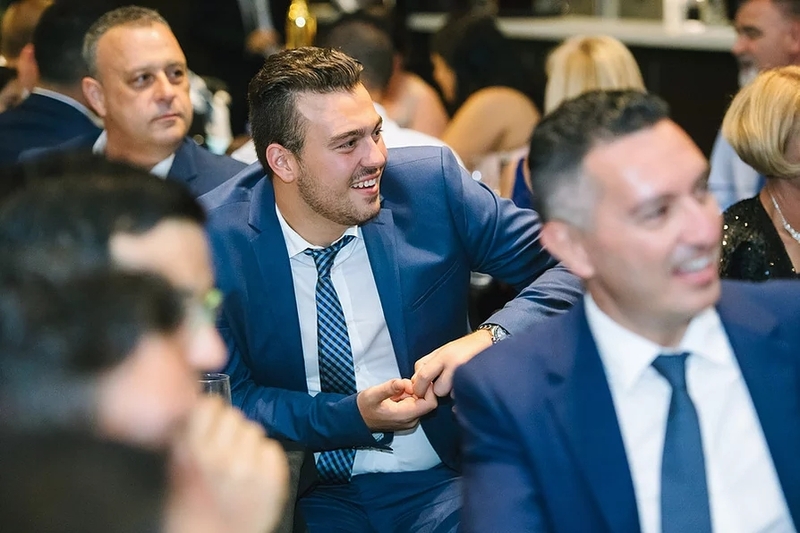 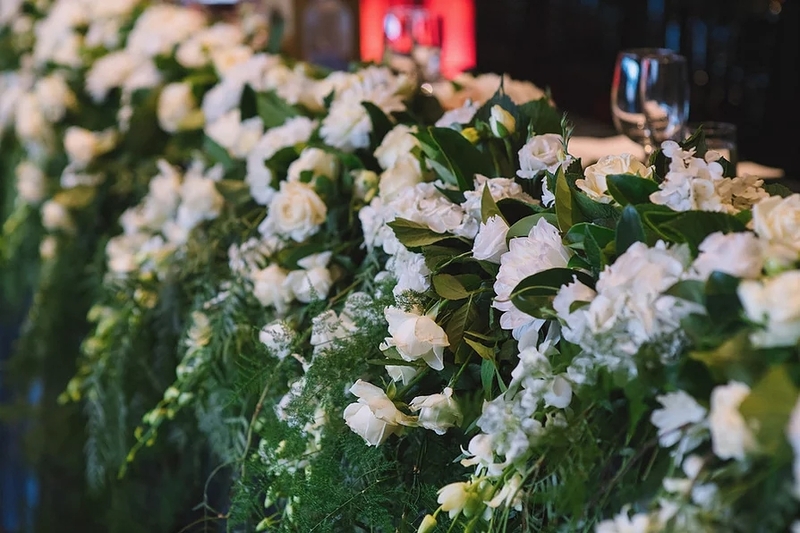 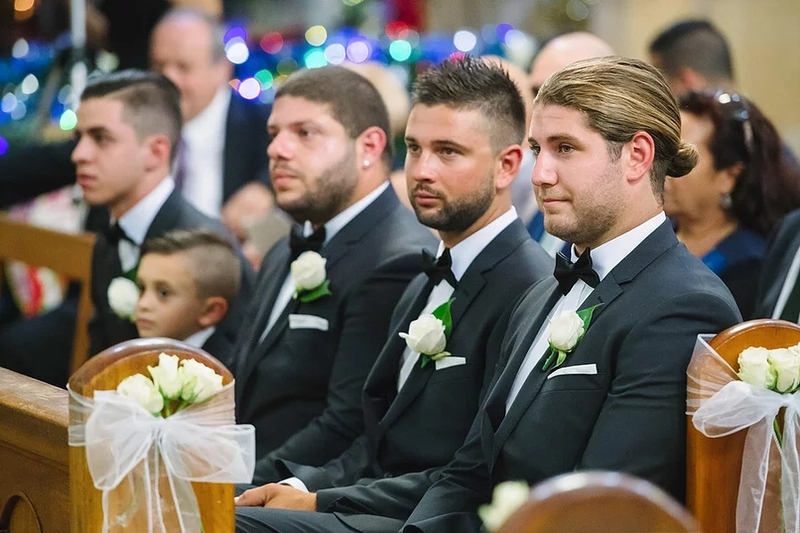 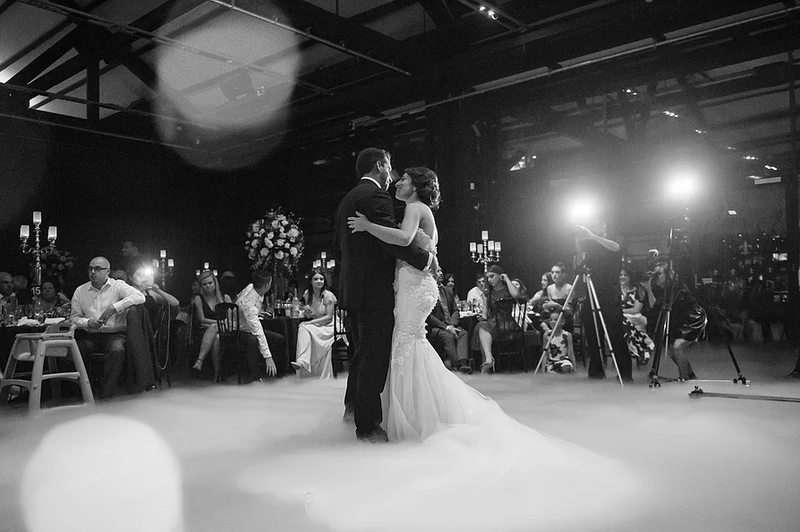 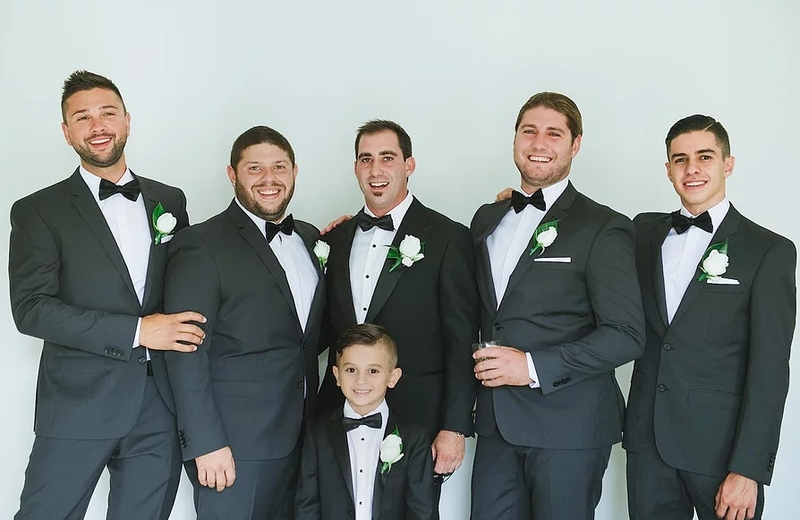 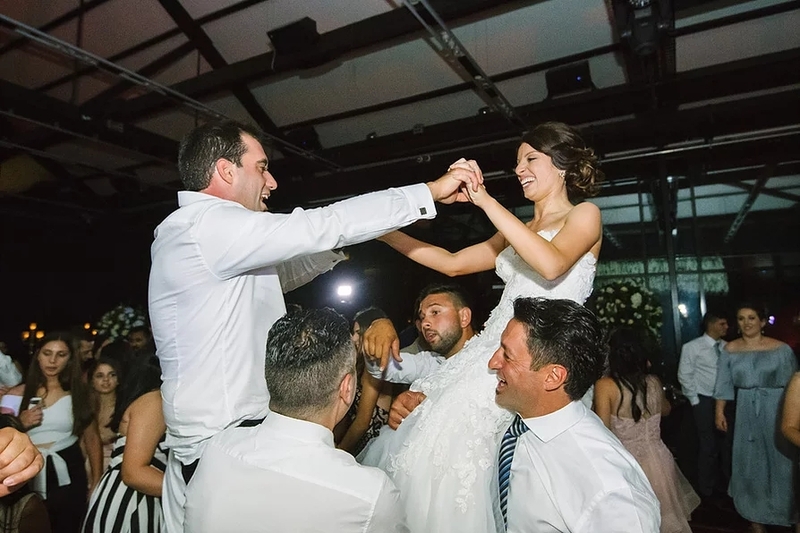 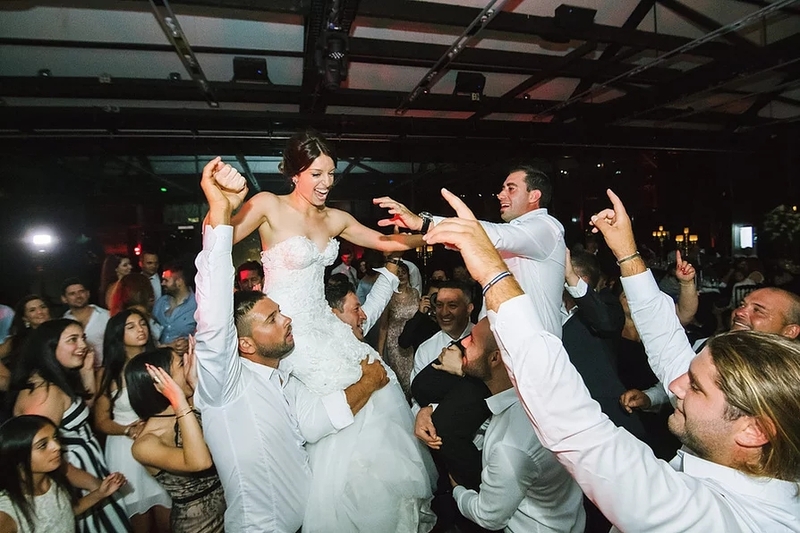 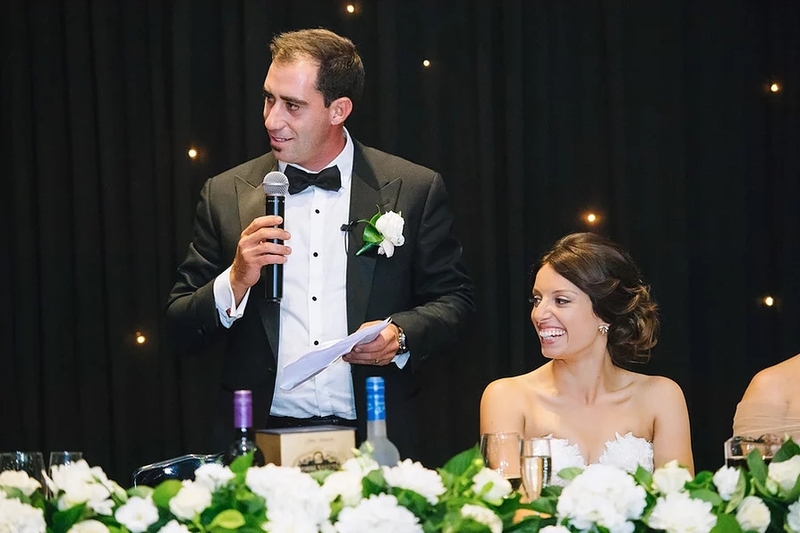 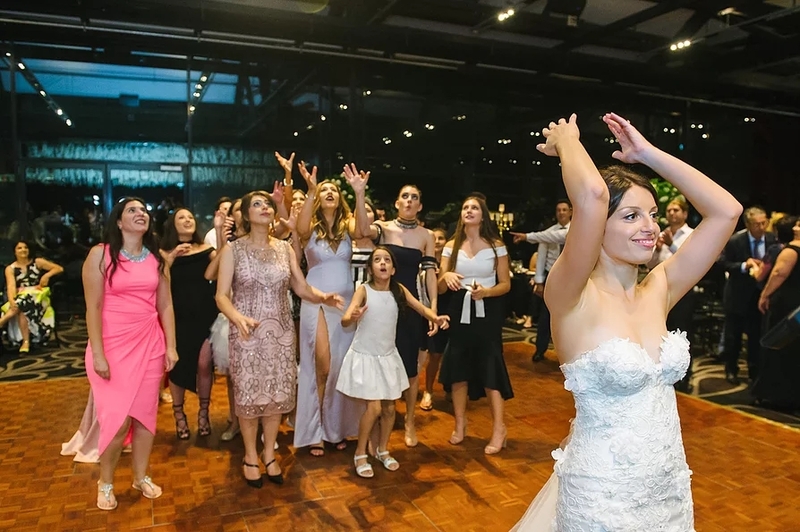 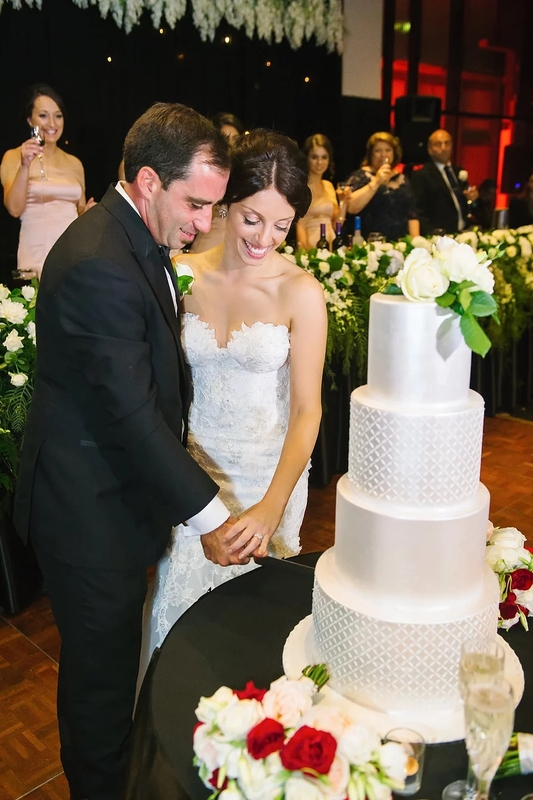 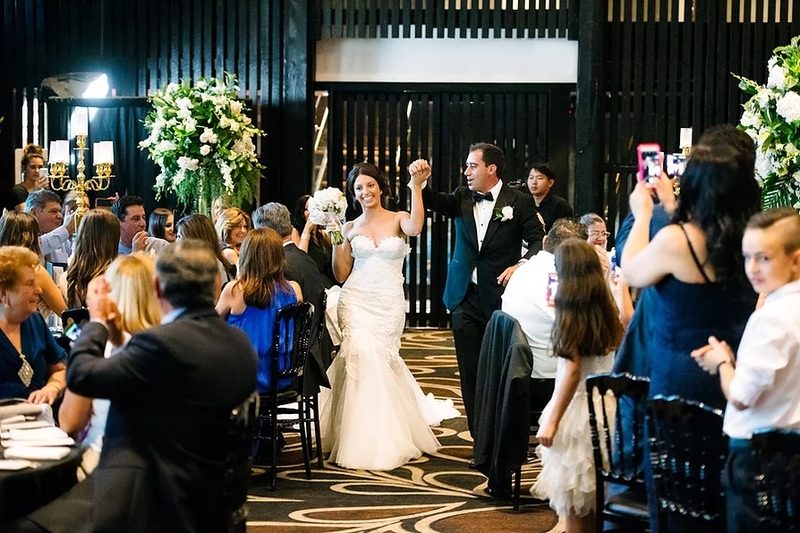 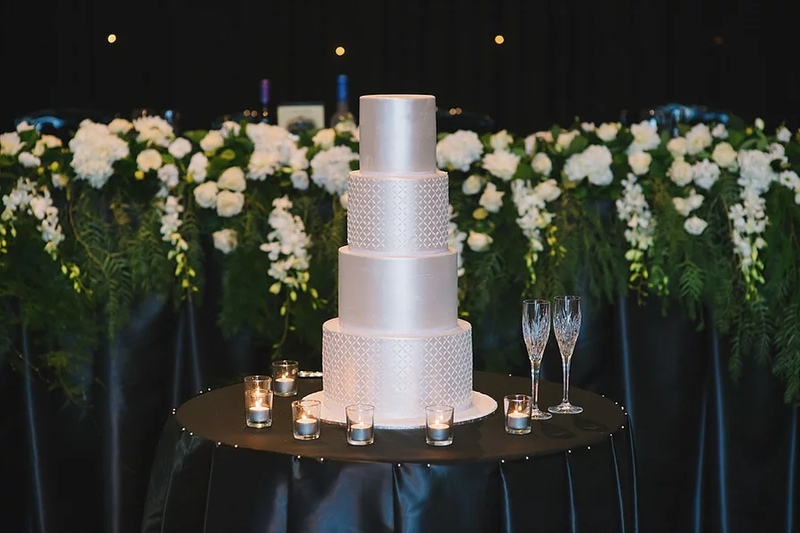 The wedding celebrations continued well into the night, with a reception for 400 guests at the acclaimed Navarra Venues’ Doltone House on Jones Bay Wharf in Pyrmont. 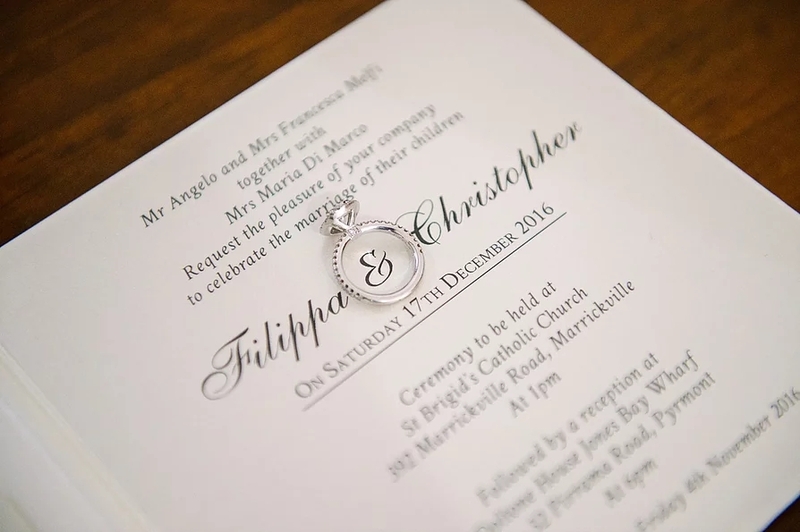 Congratulations Chris and Filippa, it was a joy to be a part of your special day.